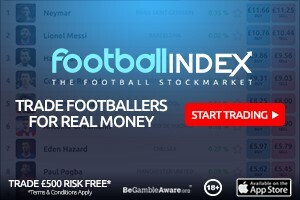 Here’s our fantasy premier league captain tips GW5 article where we look at ways of assessing the best captain pick for the gameweek. 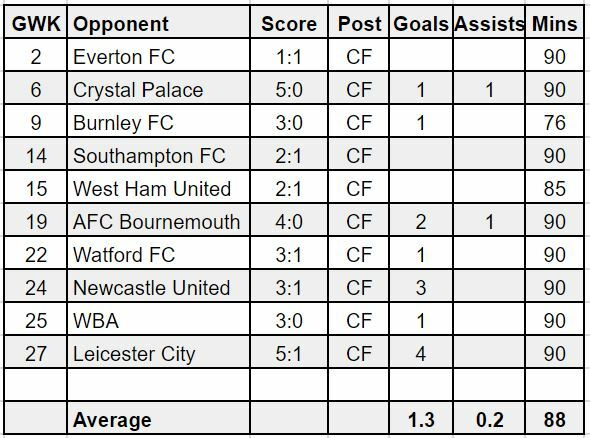 We look at the fixtures, the bookies odds, the FPL advice site polls, who the FFGeek contributors are captaining, some stats and the FFGeek choice. We also look at the results of the transfer in and out polls. I thought it might not be great but I didn’t expect it to be this bad. So he returned a goal or assist in 3 of 11 (27%) matches at home against the non top 6 in 17/18. In the 1 game at home this season against a non top 6 side he scored got 3 bonus and got 11 points. 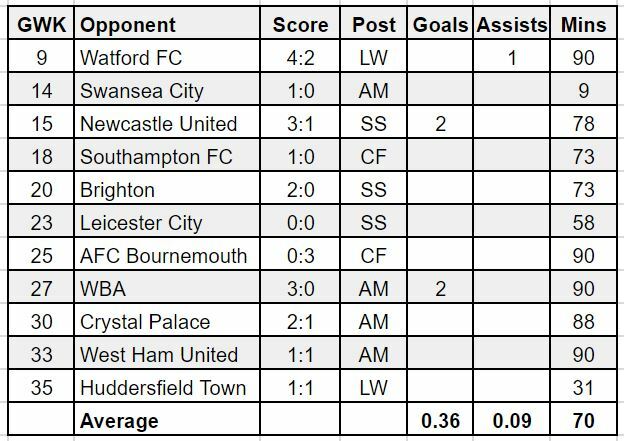 Mainly thanks to a Begovic howler and his underlying stats weren’t impressive at all. 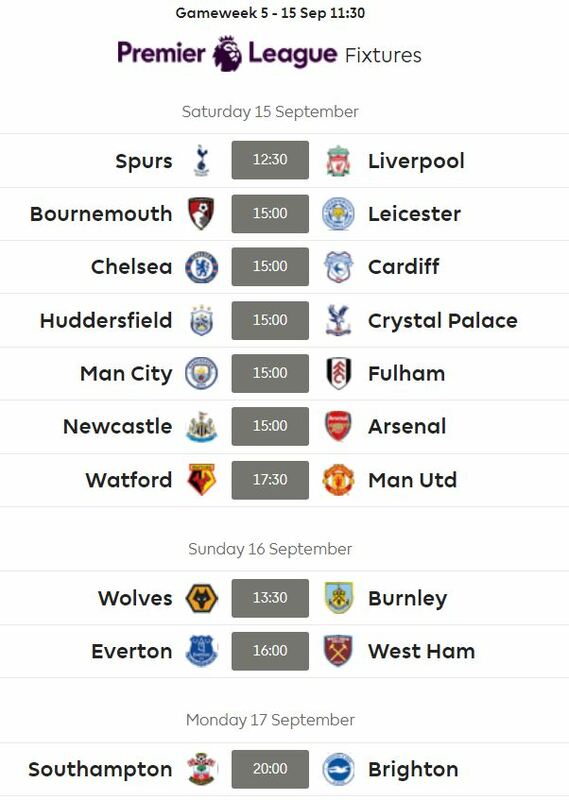 A promoted side so no 17/18 PL stats. So far this season they have been away to Bournemouth and Huddersfield. They have played at home v Arsenal and were surprisingly attack minded losing 3-2 but with a respectable 1.32 xG conceded. So far this season they have played Spurs away and lost 3-1 and a pretty serious xG conceded of 2.82 including 25 shots. The Fulham manager has said they will attack. It could be a bloodbath. As far as Aguero gametime is concerned, so far this season we’ve seen him start in a CF pair in the home games. We are now entering a new phase which involves the Champions League though so things could change. Nothing in the press conference of note from Pep today. With Chelsea in the Europa League it seems difficult to believe Hazard won’t start. The first game is away to PAOK so if Hzard plays in that it would be a major shock and signal to me that Sarri wants to win it without too much teamsheet risk. 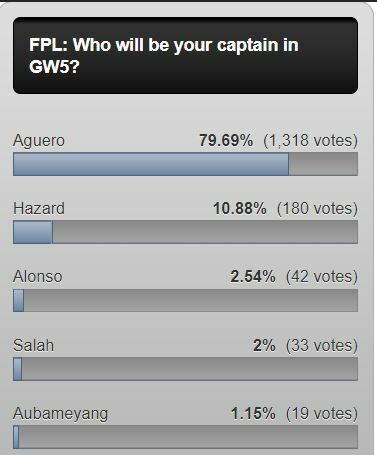 The FFGeek contributors as we’ve seen so far are pretty unanimously agreed on Aguero.